…. Decades of falling church attendances have left some priests looking after up to 20 rural churches. Previously, a rural priest would need to apply for permission from a bishop to not hold a Sunday service in each church. The Bishop of Willesden – the Right Reverend Pete Broadbent – chairs the Simplification Task Force formed in 2014 to improve the process of the Church of England. He said changing the law reflected the current practice of priests who look after multiple churches. Following the vote, he said: “You’re meant to get a dispensation from the bishop – this just changes the rules to make it easier for people to do what they’re already doing. It stops the bureaucracy. The Reverend Rose Hudson-Wilkin, a chaplain to the Speaker of the House of Commons, said although it was “wonderful” to have “that one day where everyone can concentrate”, the Church had to be realistic about people’s day to day lives. She added that at her churches “Thursday is the new Sunday”. CHURCH PLANTING & Plant doesn’t have a building, only a cellphone app, linking members to church’s many parts: house groups, Taco Truck, roadside Ash Wednesday service, etc. Commentary by Prof. B.: Having planted a church and coached perhaps hundreds of others, I believe that the current planting models are often overly dependent upon expensive strategies. 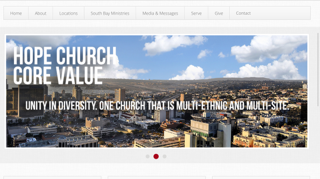 Therefore I welcome this case study of a church with many ministries but no building. Instead they link the community to its many activities via a cell phone app. I coach a nearby church to this one and the pastor there told me that she thought this new model of church planting would be expanded through out her diocese (she is a bishop). Here is the article written by an editorial board at Duke University on this potentially replicable church planting model. by Leadership & Faith Editorial Board, Duke University, 1/31/18. 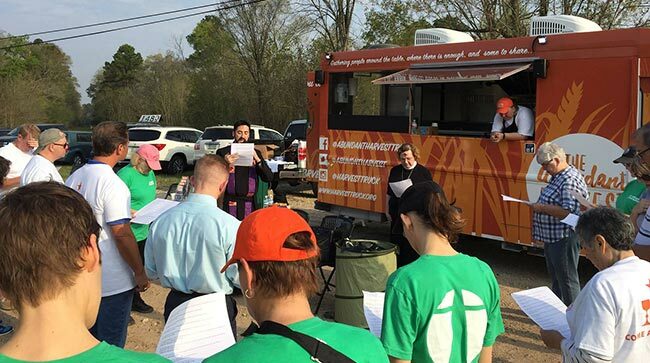 …Taco Church was part of the newly launched St. Isidore Episcopal, a “church without walls” focused on small group discipleship and community service. The church didn’t have a building, and it didn’t want one, Steele said. Instead, it had a cellphone app, linking members to the church’s many parts. As Steele explained, St. Isidore was one church embodied in many different ways. It wasn’t just Taco Church. It would eventually become three house churches, a pub theology group, a free laundry ministry, a food truck and more. It was all quite unorthodox, except the liturgy and theology, which were decidedly Episcopalian. The Rev. 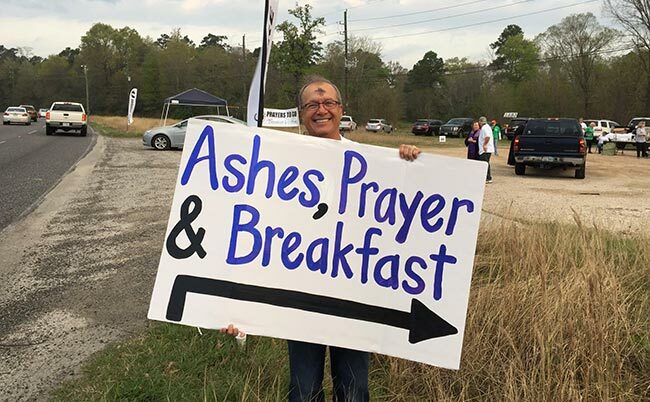 Sean Steele leads Ash Wednesday services for commuters in a Houston suburb. … This Easter, a little over a year after his first Taco Church, Mraz and his 6-year-old son were baptized in a service he helped organize as a member of the St. Isidore leadership team. As many mainline Protestant churches shrink and shutter across the United States, St. Isidore is finding new possibilities by marrying a denomination’s traditions with a decentralized structure drawn from the emergent-church playbook. It’s a mission church and “research and development” effort launched by Trinity Episcopal Church, a 1,500-member parish in The Woodlands, a suburb north of Houston. Steele holds tightly to Episcopal liturgy even as he brings it into novel settings such as breweries and laundromats. St. Isidore is aimed not just at unorthodox places, he said, but also at unorthodox people, like the formerly Daoist chicken farmer who now runs the pub theology group. What are the thresholds to your church? How can they be made easier to cross? The Rev. Gerry Sevick, the rector at Trinity (link is external), hired Steele straight out of seminary in 2012 with the understanding that he would eventually plant a new church or start a missional community. A St. Isidore member invites drivers to the roadside Ash Wednesday service. …Starting in January 2015, Sevick gave Steele 10 hours a week to focus on research, dreaming, planning and working with a church-planting coach — a luxury possible perhaps only at a large multi-staff parish. That March, a lay staff member mentioned half-jokingly that she wanted to do outreach with a free food truck. Steele jumped at the idea and started the fundraising; the food truck manufacturer became a major contributor. The first ministry group, Pub Theology, began as an experiment in August 2015. Like similar gatherings nationwide, it attracted an eclectic mix of believers and nonbelievers across several generations. Some of them also joined other St. Isidore activities as they launched, while some just came out for the Tuesday night beer-and-discussion gatherings. Taco Church began around the same time after Steele noticed that the group of guys he encountered at his neighborhood gym every day often shared surprisingly intimate conversations. He saw a community of trust and mutual interest that felt sort of like church. Steele asked whether they would be interested in getting up an hour early on a Wednesday to meet across the street at Taco Bell. “We’ll just start gathering together and praying together, and we’ll see how it unfolds,” he told them. Four guys showed up the first time. Steele wanted to help the men recognize that their community already was blessed and that they could set it apart as sacred. Now about 10 men gather each Wednesday, including a lawyer, an event promoter and a dishwasher who was homeless for two years before he found housing with Steele’s help. After working through a series of check-in questions, the group studies a parable. They share wisdom across generations, poke fun at each other and break bread — specifically, breakfast tacos and some Chick-fil-A sandwiches sneaked in for variety. In the fall of 2015, Steele interviewed more than a dozen families from Trinity and elsewhere to find the group that would form the first house church. They began meeting in October to talk about core values and how to lead house churches. From the beginning, he wanted to empower lay leaders, whom he said churches often render impotent. After St. Isidore was officially commissioned in January 2016, the first house church, aimed at families with young children, began meeting at the Steeles’ home. A second house church launched the following month. For several months, people would visit but not stick around. Steele, though, was patient. Commentary by Dr. Whitesel: Kris McDaniel is the pastor of an Atlanta megachurch affiliated with Anglican Church of North America says that “parish” is a better way to describe the venues of a multisite church. Parish historically indicates local shepherding and spiritual mentoring. I agree, for I have always felt the term multi-“site” emphasizes the location/facility in lieu of neighborhood pastoring. Personal conversation with students at Wesley Seminary at Indiana Wesleyan University DMin, Atlanta, GA on 6/20/16. by Bob Whitesel D.Min. Ph.D., 4/25/16. In partnership with the Exponential East conference, The Wesleyan Church holds an “Ignite” pre-conference sponsored by their Department of Church Multiplication and Discipleship. “Adding daily to their number daily (Acts 2:48) was not their vision. They wanted to stay small. The great persecution of Acts 8 scattered them” and made them a missionary people. by Bob Whitesel D.Min., Ph.D. 11/8/15. This is part of my continuing study of multiplication strategies. Here I add another list of characteristics in my study of multisite churches in Chicago. #MultiSite Tour of Chicago: new sites are sponsored/launched by nearby site: creates localized coaching. 7-10 minutes greeting between worship & Word. More fellowship time than boomers. Commentary by Dr. Whitesel: A multi-campus or multi-site approach creates an “economy of scale” that can better fund and support church multiplication. I call this the “Alliance Model of Church Multiplication,” which especially lends itself to growing multi-ethnic and multi-cultural churches. However more important than the lead pastor in this strategy, is the campus pastor who will indigenize the church’s ministry to the local context. See this helpful report with sample job descriptions by my friend Warren Bird. It examines what makes a good campus pastor and why selecting them is even more important than selecting locations for church multiplication strategies. by Warren Bird, Leadership Network, 10/8/15. San Diego is home to over 1.5 million people who live in neighborhoods such as Paradise Hills, North Park, City Heights, and surrounding communities like La Mesa and San Carlos. These communities reflect the rich diversity of San Diego and each person takes great pride in their neighborhood. One size fits all is great for socks, not so great for church. Therefore, we have taken a neighborhood approach to church, establishing churches in individual neighborhoods throughout San Diego. Our neighborhood approach helps us become more involved in the life of each community, multiplying resources and opportunities to serve, while maintaining the neighborhood feel. Each Hope Church campus is connected to all the other campuses through vision, values, and approach to ministry. But just as each neighborhood is unique, so is each campus. Every location has it’s own individual style, Preaching/Campus Pastor, localized ministries, and the common goal to see churches started in every neighborhood of San Diego.